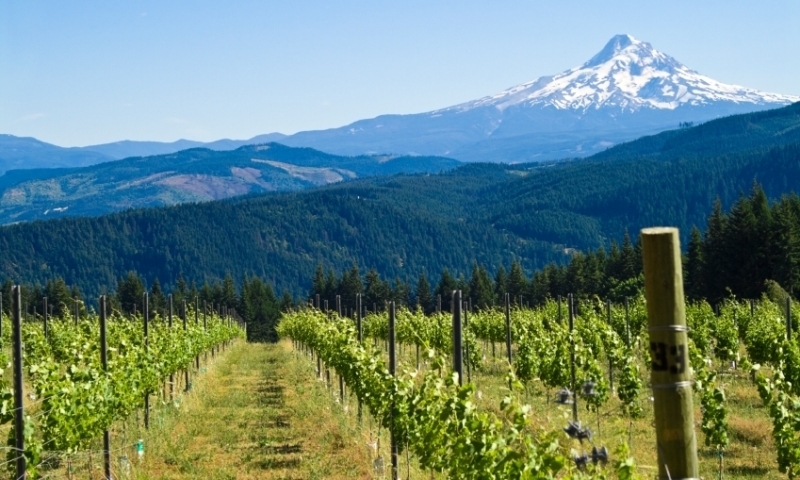 Since its dubious inception in the 1960s, Oregon winegrowing has shocked the industry by producing some of the most highly-rated wines in the world. Oregon vineyards traditionally value quality over quantity, and this small-batch, artisanal approach to viticulture pays off in award-winning wines, most notably of the Pinot noir varietal. Sample wine right in the vineyard, where fertile fields are ideal for perfect grapes. Groups up to 24 welcome for catered affairs. Relax in quiet luxury in your own king or queen room with private bath and patio overlooking Dominio IV's estate vineyard, just minutes to the Columbia River. Taste some of the nicest wines at WyEast Vineyards! They offer premiere wine tasting rooms and are open 11 - 5 daily. While the first grapes were planted in Oregon in the 1880s, it took almost a century for vintners to discover just how special their region could be. In 1979, an Oregon Pinot noir blew away the historically staunch competition in the Gault-Millau French Wine Olympiads. As a result, the eyes of the world were opened at last, and wine connoisseurs began to flock to the Pacific Northwest. Many of Oregon's winegrowers operate independently-owned, small-yield vineyards, and use only their own grapes in the creation of their wines. In fact, the majority of Oregon wines are limited to 5,000 cases per vintage. This kind of micromanagement ensures a higher quality product, and better tasting wines. On any given day in Oregon wine country, be it Willamette Valley, Columbia Gorge, or even the far-west Snake River Valley, the vintner will be the person to introduce you to his or her wines. Oregon winegrowers' adhesion to smaller, boutique vineyards also promotes environmental scruples within the industry. These people live off their land, and they protect it, too. A large majority of Oregon vineyards are maintained under sustainable, organic, or even biodynamic principles.